Even after winning the Super Bowl, the Eagles are still being disrespected. That yearly 'NFL Top 100' series began this week on NFL Network, and right off the bat, two Philadelphia Eagles players landed on the list, though they were placed comically low. Malcolm Jenkins actually finished lower than he did a year ago at No. 96, while Lane Johnson, who was the best offensive tackle in the NFL last season, laughably came in at No. 95. How he finished at No. 96 is beyond me. Maybe Brandin Cooks just has a lot of friends? "That position overall is becoming a bigger value because you’re seeing so many pass rushers now on the left side of the defense. The right tackle has to be just as good as the left tackle." "Going against him this year, he did a wonderful job protecting his quarterback. Hat’s off to Lane. I’m not an Eagles fan, so I don’t want to talk about that too much." "He’s one of those players who likes to finish you. Don’t come around and slip, because he will finish you. You need linemen like that to set the tone for you. I just love the way he plays. He’s the type of guy I’d want on my team." 96?!? GTFOH. I've said this repeatedly, but Lane Johnson was the best offensive tackle in the NFL last season. Not "right tackle," to be clear. Just the best tackle, period. He was better than Tyron Smith, Trent Williams, or any other name you might throw out. 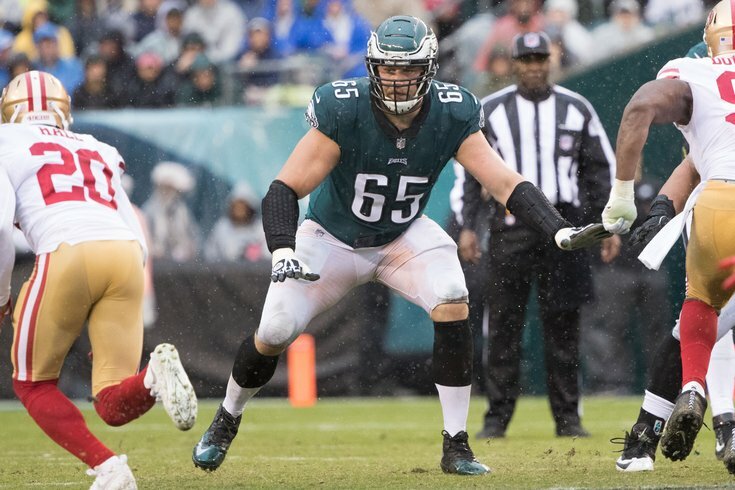 Lane Johnson faced the following stud edge rushers this yr, and shut them all out: Kerrigan x2, Justin Houston, JPP x2, Bosa, Von Miller, DeMarcus Lawrence, Michael Bennett, and Khalil Mack. He allowed just 1 sack on the season, to the 49ers' Leger Douzable. That is amazing. There will surely be a bunch of offensive tackles who make this list who are rated higher than Johnson, all of whom will be completely undeserving. So far, the Packers' David Bakhtiari landed at 91, and Andrew Whitworth came in at 87. Kirk Cousins landed at 94 on the list, by the way. Kirk Cousins.